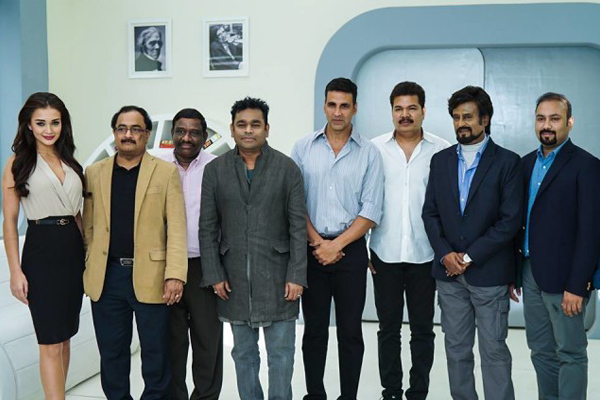 Superstar Rajinikanth starrer upcoming film 2.0 has kick started its first schedule of shoot at EVP in Chennai with a formal pooja ceremony. Here is the latest update we hear from the Producers of this sci-fi action entertainer is estimated budget of 2.0 film. Lyca Productions have officially confirmed that Rs.350 Crores as the meantime budget of Rajinikanth starrer action thriller. Shankar is the director of the movie. Akshay Kumar is playing key role in Rajini's 2.0 while Amy Jackson is essaying female lead character. AR Rehman is the music composer and Resul Pookkutty is the sound engineer. Write & Share about "Rajinikanth 2.0 film budget details | 2.0 (2 Point O) Tamil Movie News | Cinema Profile" !